Each year when Lush bring out their Halloween and Christmas collections I get stupidly excited and have to make a trip pretty pronto to stock up, this years collections certainly didn't disappoint and there was one new addiction to Lush's Halloween collection that just had to come home with me and that was the Pumpkin Bath Bomb. 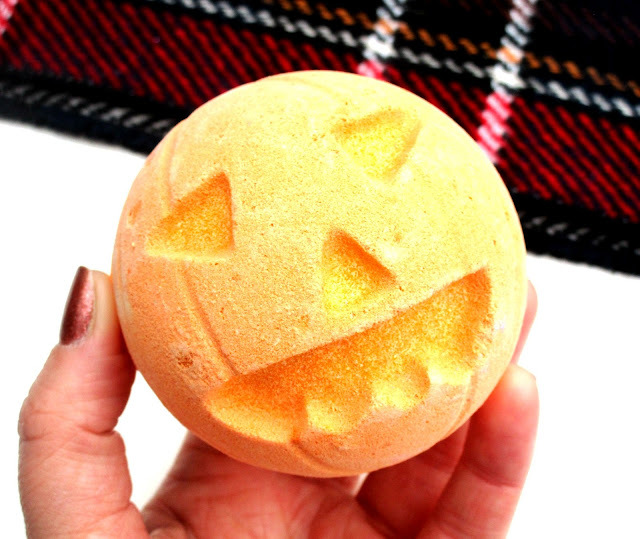 The Pumpkin Bath Bomb is described as a slab of sweet pumpkin pie, dripping in spice and sauciness, now if it's cuteness never sold it to you then that description sure will, it sounds good enough to eat. 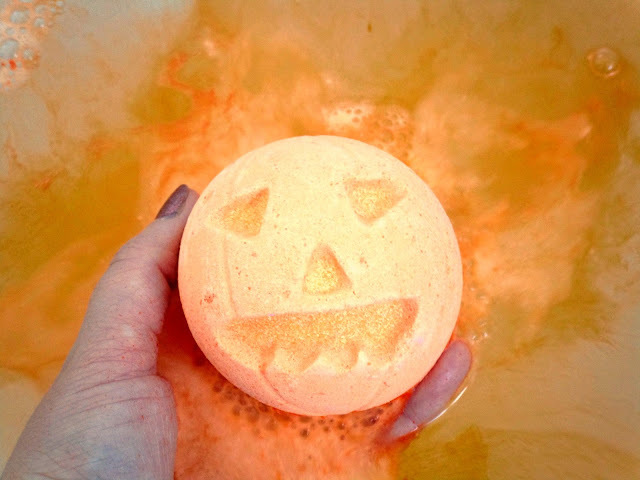 When I popped my little Pumpkin Bath Bomb in the bath it was super fizzy and whizzed around the bath creating bright orange water and the smell.... wow it's so nice, it contains sweet, comforting vanilla absolute and spicy Cinnamon which gives it a rich, biscuity fragrance of home-baking and I also get a light orange scent from this bath bomb too. It's definitely the perfect bath bomb if you like your foodie scents and the added spiciness plus the orange give it that warming, cosy, Christmas vibe which I love, you could definitely confuse this as a Christmas bath bomb to be honest as it's smells really quite festive. When I got out the bath my skin was super soft, not as moisturising as some of the Lush bath bombs but it's definitely not drying either and there was no orange staining around my bath afterwards, woohoo! Overall I'd highly recommend giving this cute little Pumpkin a whirl, especially if your into your foodie, festive scents like me. I'm kind of sad I didn't stock up and get a couple of these as this is my favourite Lush new release that I've tried so far! 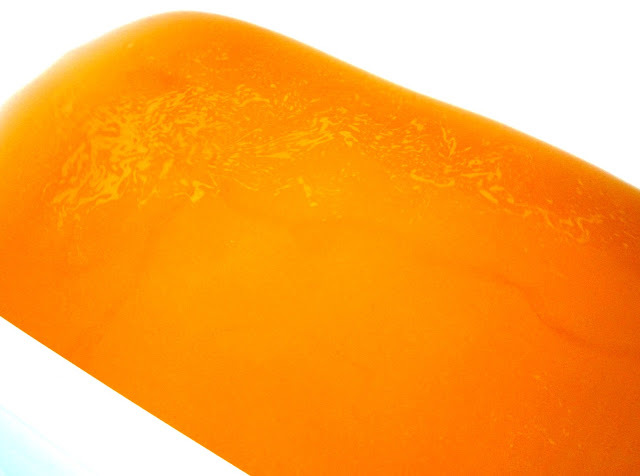 You can buy the Lush Pumpkin Bath Bomb for £3.95 HERE. Enter my Lacoste Perfume GIVEAWAY here beaut's!